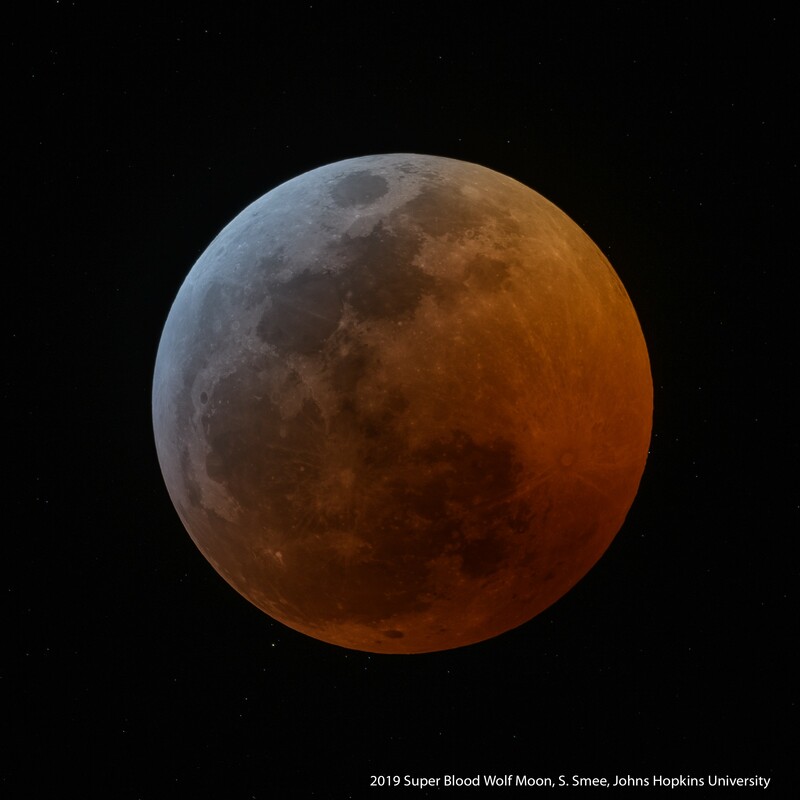 On January 20, 2019, a Super Blood Wolf Moon was visible from North America, South America, and parts of Europe and Africa. The Super Blood Wolf Moon was a total Lunar Eclipse that combines a super moon and a blood moon. The moon is not always the same distance away from the Earth, and when it is at it’s closest point, the phenomenon is known as a super moon. A blood moon occurs when the moon is in a total lunar exlipse. As the moon moves out of the eclipse, it appears to have a reddish tint. To learn more about the different lunar phenomena that can occur, check out this popular science article!